the Grand Cayman. The Cayman Islands are located in the western Caribbean, 480 miles south of Miami, 150 miles south of Cuba and 180 miles northwest of Jamaica. From the U.S., the Cayman Islands is one of the closest Caribbean destinations to reach. 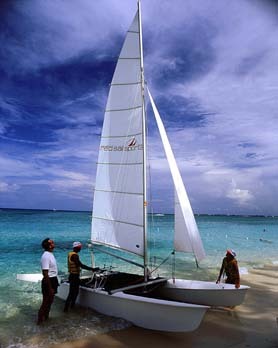 The Cayman Islands offer a large selection of world-class visitor accommodations, dining and activities. 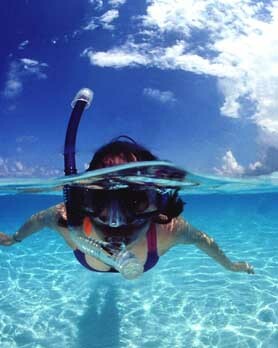 Virtually every place to stay on the Cayman Islands caters to divers. The Cayman Islands are relaxing, hassle-free and the ideal destination for couples in love, families and high power business meetings. The warm sun, refreshing breezes and crystal clear waters measure up to a fantastic vacation land. The high standard of living and education, low unemployment and emphasis on church and family create a secure haven for residents and visitors alike. Whether walking along Seven Mile Beach, enjoying an island tour, browsing George Town's shopping district or stopping at a roadside cafe or secluded beach... the comfort zone of the Cayman Islands is high. 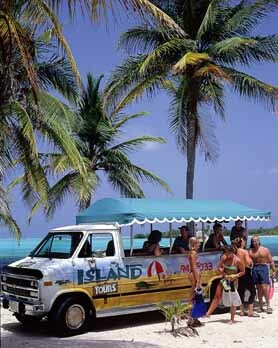 In addition to independent tours offered by taxi drivers, several tour companies offer comprehensive tours of Grand Cayman attractions. perfumes. There are numerous shopping plazas in George Town and along West Bay Road, including Seven Mile Shops, West Shore Centre, Galleria Plaza and Queen's Court. The hotel boutiques offer specialty merchandise that includes sophisticated resort wear, island-themed art prints and many duty-free goods. Privately owned boutiques feature jewels made with Caymanite a multi-layered, semi-precious gem stone with various colors. and has a population of 1,822 as of the 1999 census. The Little Cayman Island is 10 miles long, one mile wide, a total of 10 square miles. The total population of Little Cayman Island is 115. 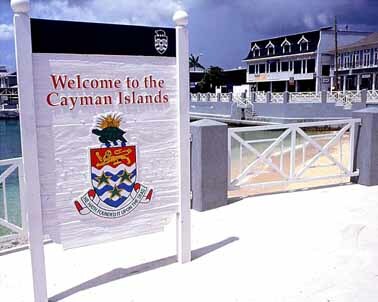 The Cayman Islands should NOT be referred to as the "Caymans."